Typically in the media, postpartum depression is heard frequently, affecting up to 600,000 women annually . According to Postpartum Depression: Causes and Consequences, postpartum depression can affect women who have given childbirth between 2 weeks and 1 year following the birth of their child [1, 2]. The symptoms of postpartum anxiety are similar to depression, but also include not wanting to care for one’s child, anger directed at one’s partner or child, and/or resentment at becoming pregnant, difficulty bonding with their child, feeling disconnected, feeling something’s ‘not right’ or that they are ‘going crazy’ [1, 11]. Postpartum anxiety disorders affect 1 in 7 of every women that gives birth . Postpartum anxiety disorders include panic disorders, obsessive compulsive disorder, and generalized anxiety disorder . Symptoms include racing thoughts, disturbing thoughts, physical symptoms, panic attacks, hyperventilation, excessive worry, restless sleep, difficulty eating, a sense of dread, and repeated thoughts or images of frightening things happening to the baby [3, 11]. Other postpartum Anxiety can include feeling fearful, scared, or upset, increased irritability, feeling keyed up or on edge, upsetting or ruminating throughs, and excessive worry about the baby . Common behaviors associated with postpartum anxiety include impulsive or excessive behaviors, such as excessive cleaning or washing, or checking; seeking reassurance regarding the baby . Physical symptoms can include trembling, feeling shaky, restlessness, or easily fatigued. Other symptoms include difficulty concentrating, trouble falling or staying asleep, easily startled, racing or pounding heart, dizziness or lightheadedness [4, 6]. About 30% of women will experience an anxiety disorder at some point in their life . 6% of pregnant women and 10% of postpartum women develop anxiety [5, 6]. Many women, following pregnancy find themselves feeling anxious, when expecting to feel joyous and happy . Many of the women that experience postpartum anxiety have not experienced anxiety prior to being pregnant. Others find that their stabilized symptoms return after the birth of the baby. Moms can develop a perinatal mood disorder at any point during or after the pregnancy, which can continue until the children reaches school age. Mood disorders can be triggered by various factors, such as stress of new baby, balancing new schedules, work and family responsibilities, or family history of postpartum anxiety and drug abuse. There are five main types of perinatal mood disorders, including depression, anxiety, obsessive-compulsive disorder, post-traumatic stress disorder, and psychosis . Substance abuse can coincide with perinatal mood disorders and be a way for new moms to cope with new responsibilities and feelings of being stressed and overwhelmed. Most new mothers do not plan to become addicted to substances. It typically follows as a mean to cope with everyday stressor, and a growing reliance on the use substances. As the addiction begins to increase, it becomes more difficult for the parent to recognize that there is a concern. 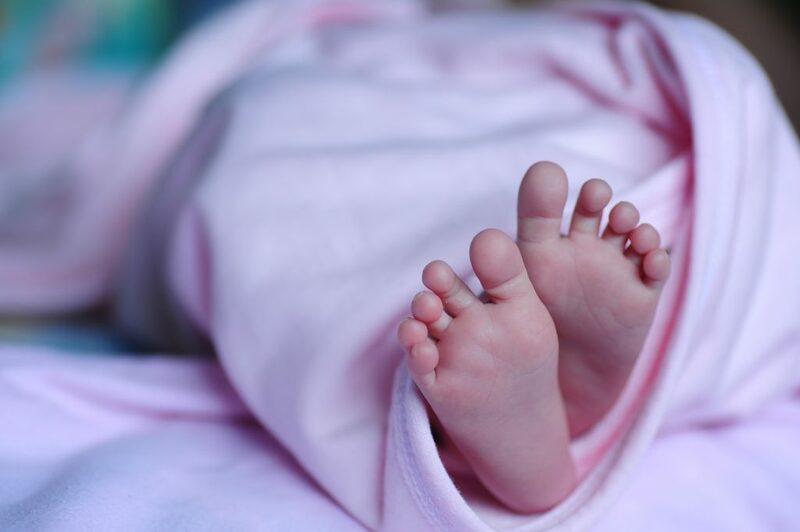 There are various factors that can contribute to the onset of postpartum addiction, such as a prior history of depression or mood disorder, a history of addiction or substance abuse, or those that have suffered abuse or trauma . The Connection between a woman’s history of drug use and postpartum anxiety is interesting. Women with a history of substance abuse, prior to pregnancy, are more likely to experience stress and anxiety within the first three months following childbirth, according to the Archives of Women’s Mental Health [7, 8]. Postpartum anxiety is more common than depression following delivery and may be associated with higher adverse maternal health outcomes and reduced breastfeeding, according to a study published in Pediatric Journal . Many women following birth, are learning to cope with the challenges of being a new mom, hormonal shifts, and care of a newborn. Stress and sleep deprivation can increase these challenges [8, 9]. 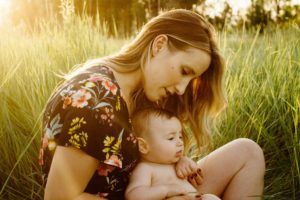 The La Leche League International conducted a study on 391 pregnant women and found that substance abuse coupled with life stressors, predicted postpartum depression and comorbid concerns . A secondary study looked at 12 mothers who abused substances to 12 mothers who did not. They were followed at three and six months postpartum. Mothers who were abusing substances were significantly more depressed than those who did not abuse substances. This study also found the substance abusing women had less positive interactions with their baby than their cohorts . The Substance Abuse and Mental Health Services Administration (SAMHSA) reports that 15% of women who have given birth in any given year and were diagnosed with a postpartum mood disorder, engaged in binge drinking behaviors . According to the National Survey on Drug Use and Health, approximately 5% of women use drugs and alcohol while pregnant, but statistics on post-birth addiction is rare . Recent research from North Carolina State University and the University of British Columbia have found that a woman’s lifetime history of drug use may predict whether the woman will have postpartum anxiety/depression following childbirth . The study found that women are at a higher risk of postpartum mental health concerns other than depression. The researchers found that incorporating questions regarding a woman’s history of drug use, rather than drug use during pregnancy, they were more accurately able to identify women who were at risk for issues following childbirth. This study also found that pregnancy was not a precursor to use drugs, that the use of substances followed over from prior pregnancy behaviors. In conclusion, the Connection Between Drug Use History and Postpartum Anxiety are somewhat separate issues. Typically substance abuse is a behavior that tends to return following the birth of the woman’s child due to previous substance abuse or use behaviors. Postpartum anxiety is typically new to most women and prior coping behaviors tend to return to help manage the overwhelming symptoms.